Look aLIVE, TribLIVE — Shirley, Laura A. 2017 print & digital campaign celebrating Trib Total Media's shift from print to digital news. 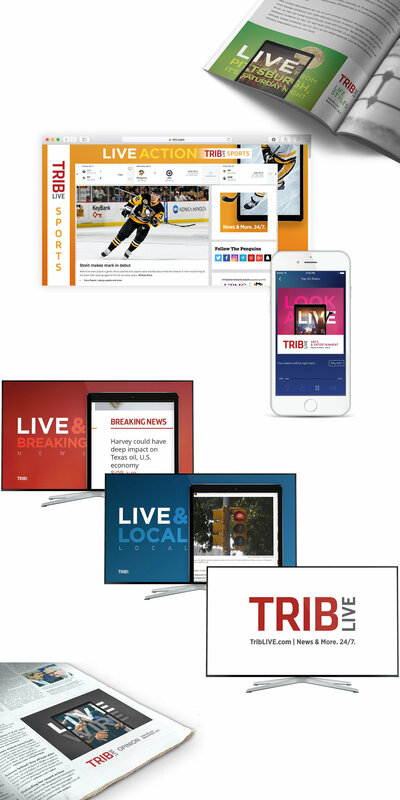 Drove traffic to all six sections of TribLIVE.com.